Bring your vehicle to Smart Auto Repair for all of your vehicle maintenance and car repair needs. We can handle something as small as an oil change or as big as a transmission rebuild. We can be your one stop for all your car service needs. We offer most of the same services you could receive at the big name automotive dealerships, but our labor is far less expensive per hour. We also charge less than the industry standard for our car parts while still offering the same quality as other shops. We know that the term “honest auto repair shop” is thrown around our industry all of the time, but we want to show you that we embody this. We don’t want you to waste your money on an unwarranted upsell for your vehicle and that is why we strive to bring to your attention only the items on your vehicle that are truly in need of repair or replacement. Think all of this is too good to be true? 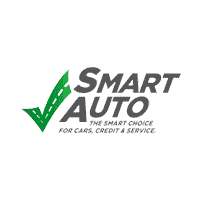 Bring your car in and give us an opportunity to show you that Smart Auto Repair truly is the “Smart Choice” for all of your auto repair needs. Comprehensive auto service, lowest prices, honest answers– That’s Smart.